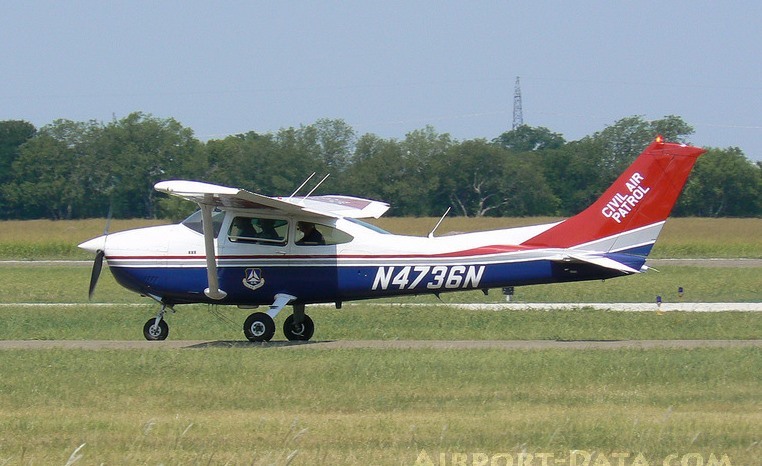 August 29, 2012 – Denton Airport recently marked its 1-millionth operation with a commemorative Civil Air Patrol flight and awards ceremony, and we agree that the event was cause for celebration. In our view, the airport could be one of Denton’s most underrated assets. Plus, the airport has probably been even busier than the 1 million operations would indicate. Although the airport opened in the 1940s, the counting of operations didn’t begin until April 2004, when the Federal Aviation Administration began operating the airport’s tower. Operations are defined as takeoffs or landings of an aircraft, as counted by the air traffic controllers for Robinson Aviation Inc., the FAA contract operator for the Denton Airport tower, according to a city press release. The count occurred only when the tower was open — 6 a.m. to 10 p.m. are the current hours — even though the runway is open 24 hours a day, airport director Quentin Hix told us. That means the actual number of operations at the airport has probably been much higher than the number celebrated. In the past 12 months alone, Hix said, controllers counted more than 156,000 operations. That’s a significant increase over the first 12 months after the tower opened, when the official count was 77,040 takeoffs or landings. The 1-millionth operation milestone celebration was held at the airport on Monday. 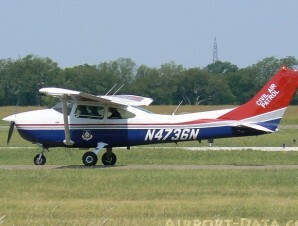 The first takeoff counted by air traffic control at Denton Airport in 2004 was a flight piloted by Lieutenant Colonel Rick Woolfolk , the immediate past Commander of the Civil Air Patrol Squadron in Denton. Lieutenant Colonel Woolfolk, accompanied by the current Squadron Commander, Major Steve Robertson, made the 1-millionth landing. Woolfolk was a special guest for Monday’s event. Over the past eight years, Denton Airport has celebrated many other growth milestones, with more than $27 million of public infrastructure improvements and even more private investment in aviation business and industry, according to the city press release. The FAA identifies Denton Airport as the eighth-busiest airport in Texas. That puts our airport right up near the top in operations. Love Field in Dallas is ranked at number six, and Dallas/Fort Worth International Airport tops the list. 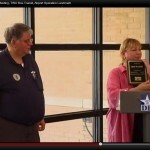 The Denton Airport received the Reliever Airport of the Year award from the Texas Department of Transportation Aviation Division in 2010, according to the city press release. Those are sizeable achievements for an airport that until a few years ago was considered by many to be just a sleepy little airstrip. The airport has really come into its own, and we believe it will be a key element in the city’s growth potential and the future prosperity of the entire area.